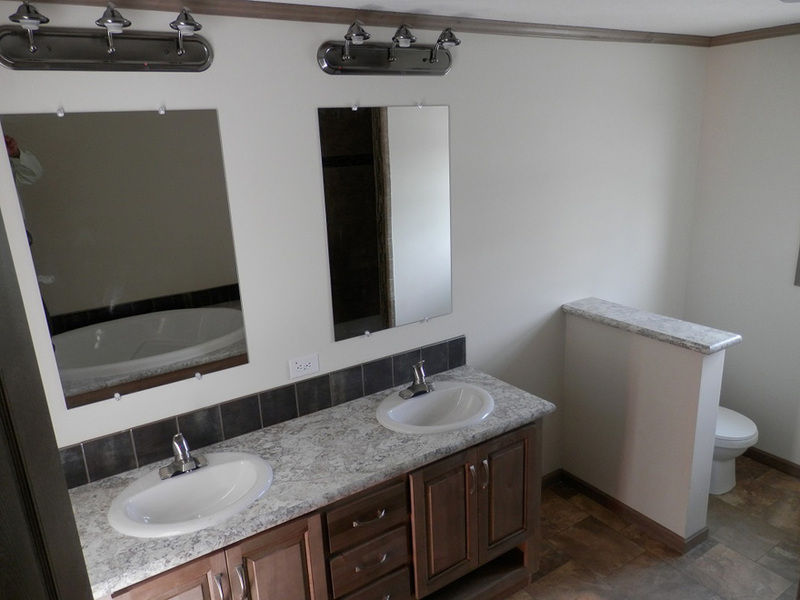 The Elkhart model has 4 Beds and 2 Baths. 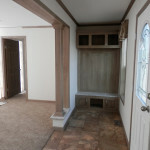 This 2036 square foot Double Wide home is available for delivery in Indiana, Illinois, Michigan, Ohio, Kentucky, Minnesota, Iowa, Missouri, Wisconsin. 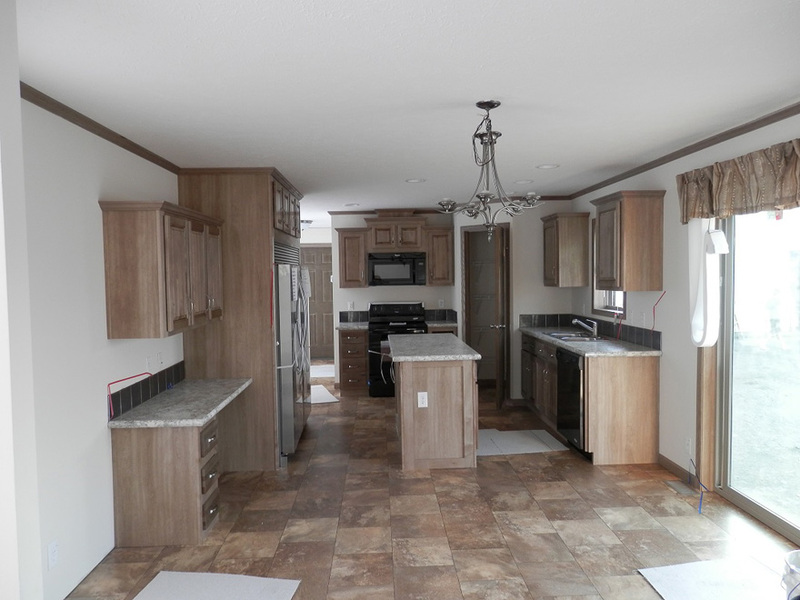 Affordable, delightful and smart are three words that perfectly describe the clever layout of this lovely manufactured home! 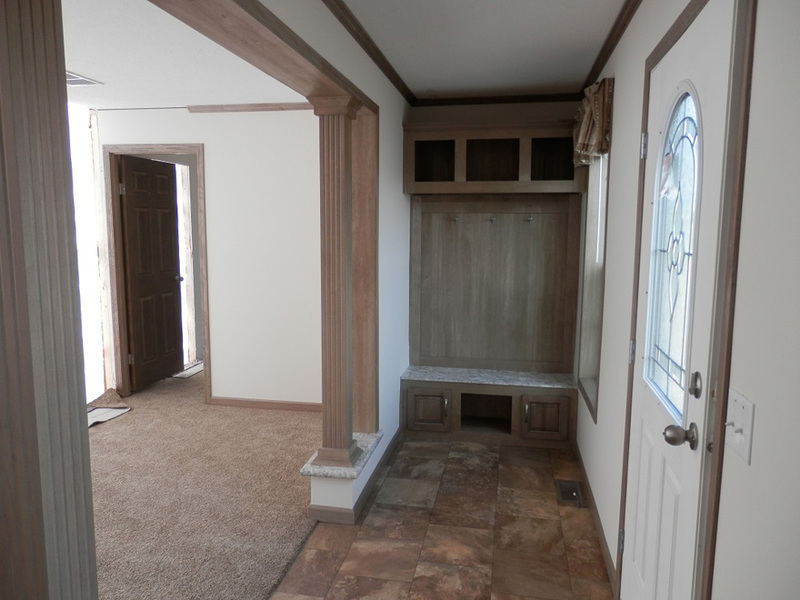 This 2,036 square foot doublewide has all of the features and space required to accommodate a large family. The main focal point is the unusually enormous great room, which spans the width of the home and is reminiscent of a site built home. 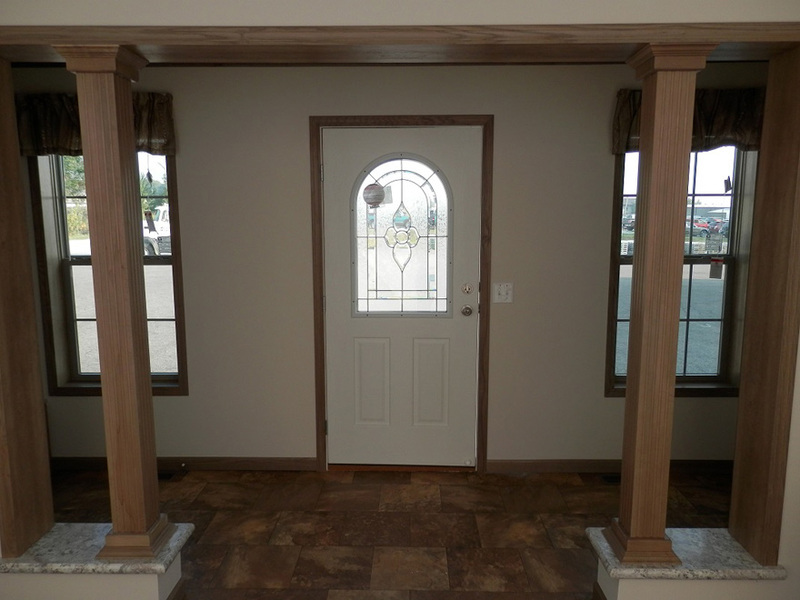 Optional foyer with pillars. 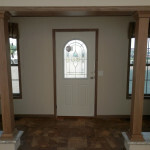 Optional archtop glass front door. 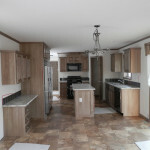 Kitchen, shown with Urban Putty hardwood cabinets, Appliance package, can lights full drywall and Patio door. 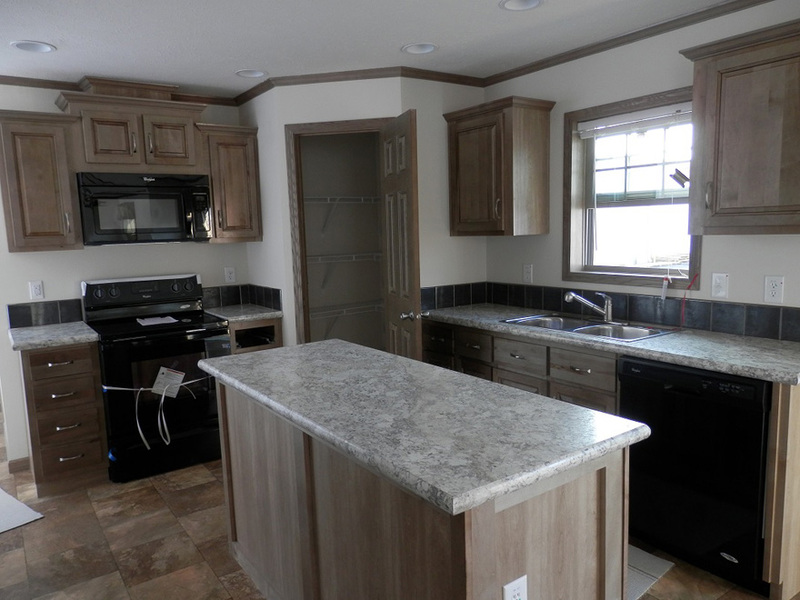 Kitchen, shown with Urban Putty hardwood cabinets, Appliance package, can lights and Patio door. 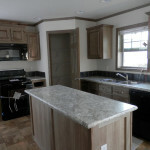 Counter tops done in Winter Carnival Optional High Definition. Optional hall tree with storage. 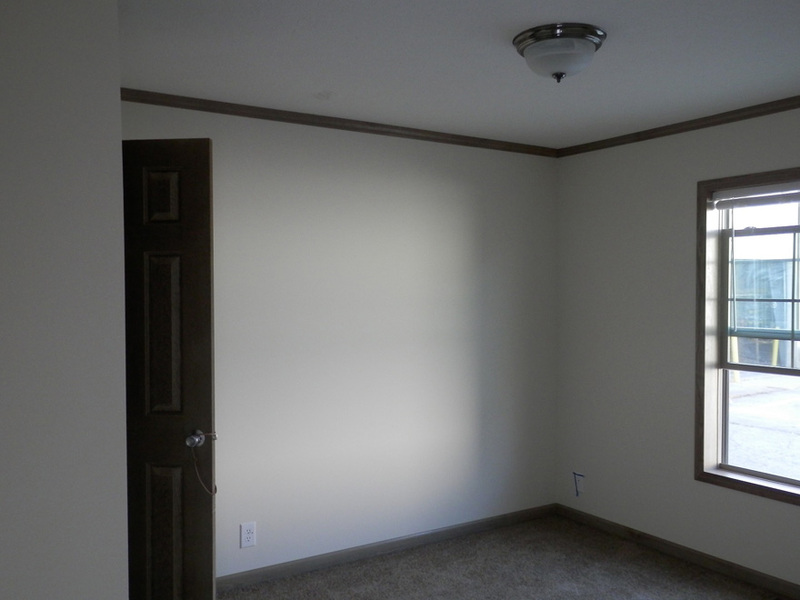 Shown in Urban Putty hardwood. 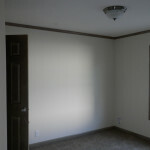 Secondary bedroom, shown with hardwood trim package with matching interior doors in Urban Putty color. 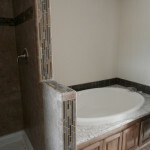 Optional Serenity bath master bath. 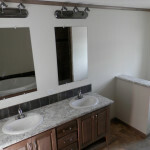 Dual lavs, optional light bars, counter top shown in Winter Carnival High Definition. Optional Serenity bath master bath. 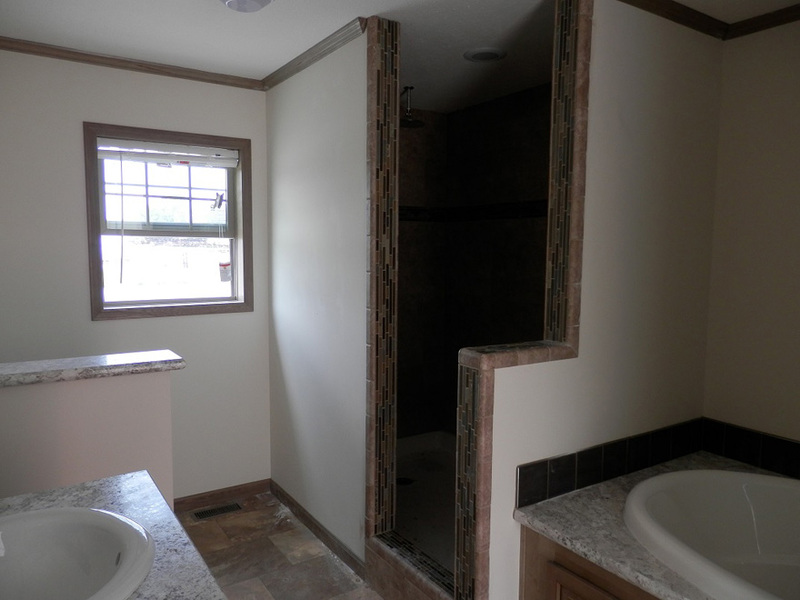 Shown is walk in ceramic shower and deck tub. 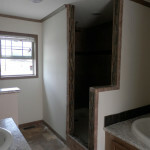 Optional Serenity bath master bath. 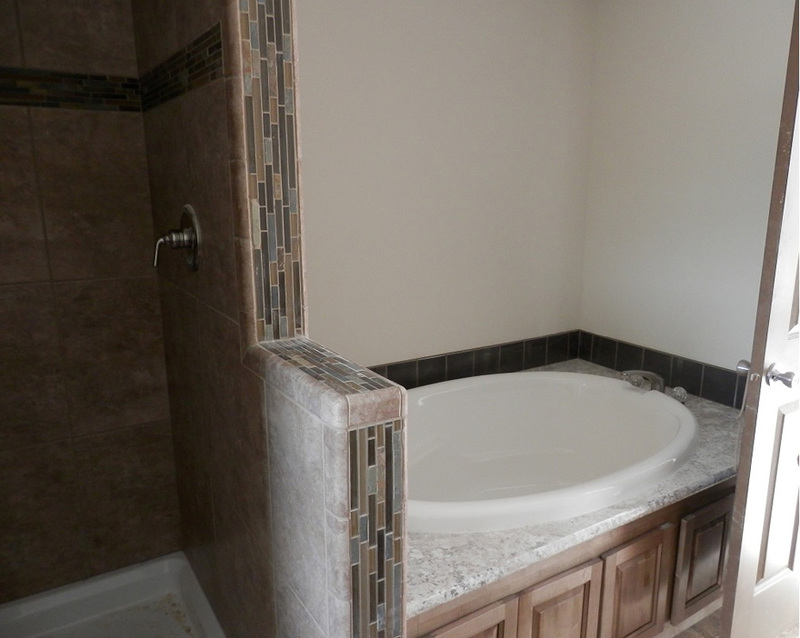 Shown is deck tub, 6″ ceramic backsplash in Graphite color and ceramic shower. 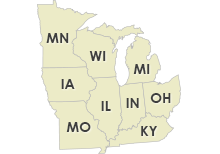 Ask your housing consultant about the other great features that come standard on the Elkhart manufactured home.